He reiterated that if there was no solution for the sealing issue till March 31, he would sit on a hunger strike in support of city traders. Delhi Chief Minister Arvind Kejriwal on Thursday sought an appointment with the Supreme Court-appointed monitoring committee to discuss the ongoing sealing drive in the national capital. “The chief minister has written to committee member Bhure Lal to discuss the issue involving the ongoing sealing drive in Delhi,” an official said. 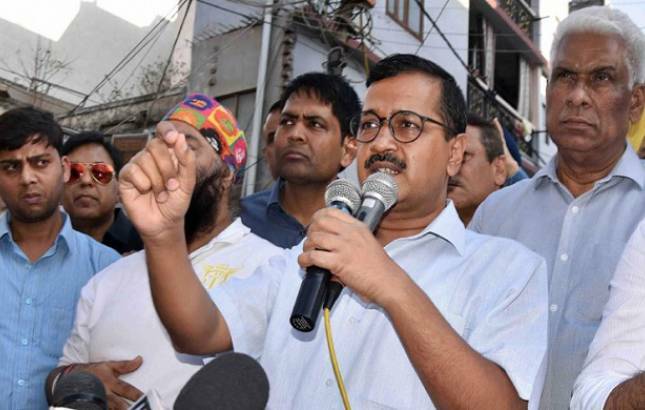 Meanwhile, addressing traders in Delhi’s Gandhi Nagar, Kejriwal attacked the Centre, saying that when it can support an ordinance on jallikattu, why it cannot bring the ordinance on sealing to give a relief to traders from the drive. “You (Centre) bring an ordinance on small-small things. When you (Centre) can bring an ordinance on Jallikattu, but why cannot you bring the ordinance to give relief to traders of Delhi from the sealing drive? “We don’t have any objection with it (Jallikattu)...I request the Centre to do whatever it can do to stop the sealing,” the chief minister said. “I want to request that there should be no politics over the sealing issue. I have come here as the chief minister of Delhi and not as the leader of the AAP. We should sit together and find a solution to it,” he said. “As the sealing drive will be getting intensified in the coming days, traders will be unemployed due to which the law and order situation will worsen. All political parties should leave politics over sealing,” Kejriwal said. He said that in next two-three days, the government will submit a survey report on 351 roads, submitted by municipal corporations, to the Supreme Court and once the city administration gets the nod, it would issue a notification to ensure that there is no sealing on these roads in future.